Re: Which car insurance agency to go with? Im going with American Hobbyist, they've merged with there parent company, American Collectors Insurance. They only require that the vehicle be garage kept, and not a daily driver, miniumum 5 years driving experience. Several of my buddies have them and never had a complaint. ive never bothered to get prices elsewhere becaus my agent is the ****. I pay $66 a month full coverage for my Mach, but I'd say some of that is because I live right next to Seattle. If I still lived in Iowa I guarantee I'd only be paying about $35 a month full coverage. Most collector car insurance states in the small print that the car must be in the garage at all times while it's on your own property. Took one month to get switched over to Grundy, then they tried to double bill me. I switched from Grundy back to State Farm. So I went back to State Farm. State Farm agent says that every time they compare to Hagerty it's only a couple of dollars difference. Only thing I don&rsquo;t like about Hagerty is they don&rsquo;t give the option to buy your car back if something happens. So I might go with Grundy once the cars come out of storage. We've had multiple dealings with state farm. Lost 3 trucks in a shop fire, and were dealt fairly on that. One was a salvage title, so I got nothing ($17k 96 powerstroke),a 94 bronco (worth about $12k) that I got 6k for, before the deductible, and a 04 6.0 Superduty. Total loss on the shop, with a max payout of around $400k for the building, contents, and vehicles. Also had an atv, two tractors, and a JD gator in there. My mach was also insured through state farm. It was totalled a few weeks ago, and the offending party had farm bureau. I've had their 8000 dollar check for not quite a week now, and I kept the car. SLP loudmouth exhaust, MSD blaster coils, steeda tri-ax shifter, intake spacer, SCT x4 tune, dryflow filter, and silencer delete. No engine mods. Most collector car insurance states in the small print that the car must be in the garage at all times while it's on your own property. 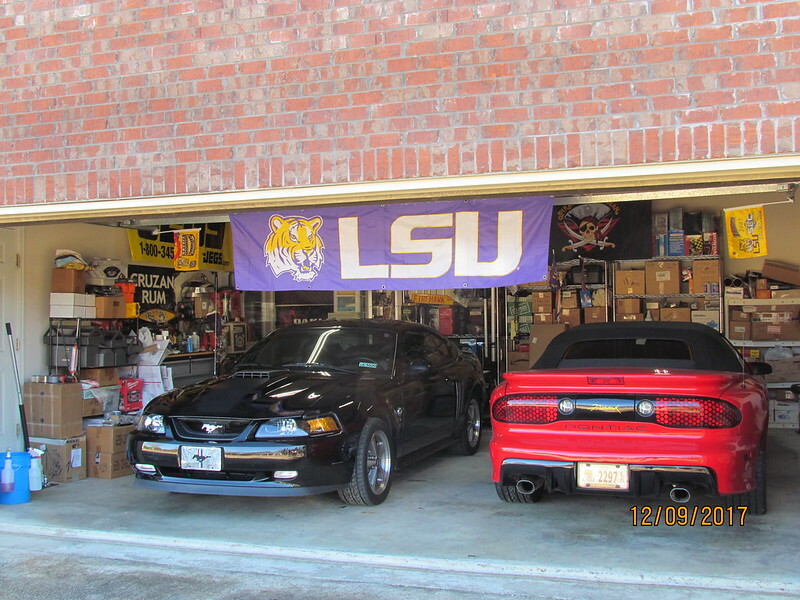 Not a problem, these stay in the garage at all times. Long story short; Grundy for some reason gave me a major run around insuring our Mach 1 and I went back to Haggerty, they have both of our collector cars now, much nicer and easier to deal with, IMHO. Last edited by CajunMach1; 12-28-2017 at 10:02 AM. I had Grundy for 2 days. Read the small print, and call them for explicit clarification on what is covered because their wording is vauge. I could ONLY drive the car for things like car shows and parades. Absolutely no personal use. No driving it to church, store, family trip, etc. I ended up with Progressive. I moved back to Iowa from Seattle and my insurance dropped 50% of what it was in Seattle with State Farm. $36 a month full coverage is chump change. I don't like the rules of those specialty insurance places. I'm not driving a Concours 1970 Mach 1. Farmers, im 31 and have had my car under my mom as the driver since i was 18... has saved me a ton of $$$$$$ i currently pay 412 / year. I'm 39. Been driving since 16. Never paid a speeding ticket in my life. Never wrecked a vehicle in my life. My Mach 1 is over $600 a year and isn't even full coverage. Liability and comprehensive only. For comparison my 2013 Supercrew F-150 4x4 has full coverage and is only $50 a year more. I was shocked at how much more the Mach costs to insure vs. the GTs I've owned in the past. I go through State Auto. Lowest rates I've found. I shopped them all. Your insurance companies probably have a Mach 1 in a Moonshine Runner category.